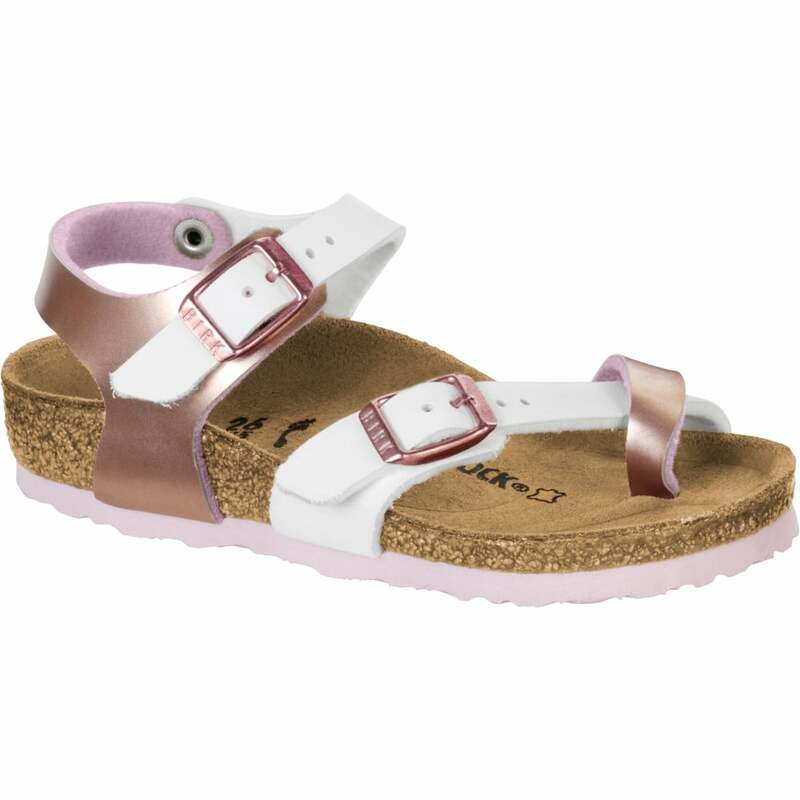 The BIRKENSTOCK Taormina is just the ticket for active and style-conscious girls. This comfortable sandal offers perfect grip, even when things get rough. This is a stunning sandal with a futuristic feel, and the upper features a mixture of the basic Birko-Flor along with a metallic version of it. The metallic look has an appearance similar to hammered metallic, which sets it apart from the other metallic products in that it looks handcrafted.